Think you can predict results? Then take part in the #BLPredictor challenge right here! 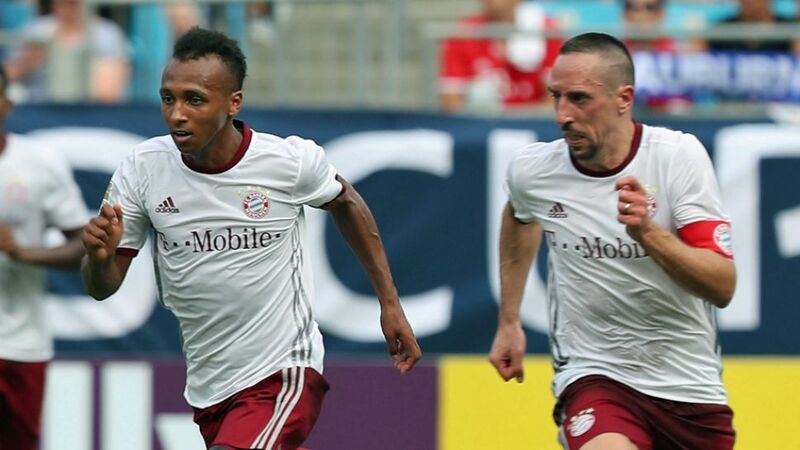 USMNT starlet Julian Green says he is loving every minute of playing alongside Franck Ribery for FC Bayern München in preseason. "Ribery is one of the best players in the world, so I can learn a lot from him," he told media after scoring a hat-trick in FC Bayern München's 4-1 win over FC Internazionale Milano on Saturday. "I'm very happy to play with him, to have the chance […] It's always important for me to score, but tomorrow's another day." Most footballers these days own a fancy pair of earphones, but have you ever wondered what gets them pumped for a big game? For new Bayer 04 Leverkusen forward Kevin Volland, he likes to keep it old-school: "I prefer hip-hop and old-school artists like Cypress Hill, Biggie or Tupac." Borussia Mönchengladbach are likely to without first-choice goalkeeper Yann Sommer for the next few days at least, after the Switzerland international picked up an ankle injury in training on Friday. Although not thought to be serious, the 27-year-old is not expected to be fit in time for Tuesday's pre-season friendlies against Chemnitzer FC and Hessen Kessel.